Blaine's Puzzle Blog: NPR Sunday Puzzle (June 11, 2017): Charmed by Chinchilla Fragrance? NPR Sunday Puzzle (June 11, 2017): Charmed by Chinchilla Fragrance? Benjamin, the Greenpeace ombudsman in the panorama, was charmed by the chinchilla fragrance. This sentence contains seven words of seven or more letters. They have something very unusual in common. What is it, and can you think of an eighth word with the same property? I think I may start my week with a folded tortilla. Edit: The phrase "Monday Taco" would work if two-word phrases were allowed. A fair to middlin puzzle. I immediately thought I had the full answer. But I was conned. So far I have 3 solid answers + 1 marginally acceptable. And 2 in 6 letters. If he's allowing proper names (Benjamin, Greenpeace) I've got 3 additional solutions, and two more solid (non-capitalized) answers, as well as 1 hyphenated answer. Alas, 2 of the solid answers could describe, yes, the orangutan in chief. Unless I have been conned, I have five "eighth word" answers thus far, including the "offensive word" I alluded to in last week's comments. I don't know what tea ron is drinking. I thought it might be darjeeling, but I guess that's not his cup of tea. One of my five "eighth words" was a part of an answer to a puzzle in one of my three "Thankgiving-themed" editions of Puzzleria! I have an inkling about what prompted Mr. Shortz to come up with the idea for this puzzle. I have ELEVEN "eighth word" answers! I stopped at four answers. That's enough, considering the puzzle only requires one. Those four don't include the offensive one, because I don't think that would be appropriate for NPR. Interestingly enough, that word never appeared in George Carlin's Seven Dirty Words routine, even though it clearly no professional broadcaster would use it. As a tangent of that, several years ago, the morning guy on our local NPR station had some issues with the equipment in the studio. Not realizing he had a hot mike, openly used one or more of the seven dirty words on air repeatedly, swearing at the malfunctioning equipment. He managed to keep his job, but had to apologize on air. 1) WS's words are "seven or more letters", can the answer have fewer? 2) Are proper nouns permitted? - 4 proper nouns, 1 with a variant, and 3 that are variants of a non-capitalized word. One has fewer than 7 letters. - Finally, one is debatable, but has at least 12 potential answers. I found this puzzle to be rather lugubrious. This usually means that Will didn't spend any time working on the puzzle himself and there are likely to be many answers. His acceptance of St. Louis was a little less than wholehearted. Celebrity and question foofah took up the majority of air time. I wonder if he got different feedback than what was obvious here. A very saucy puzzle indeed, as it relates to an eighth word and its property. Is anyone else perturbed by the "special guest" this morning? Yes. I thought they agreed to drop that. Benjamin, the Greenpeace ombudsman in the panorama, was charmed by the chinchilla fragrance, the chillable red served, and Dan Gilroy's creepy flick "Nightcrawler". Alas, this week's was harder than the previous...I'll have to take a break and enjoy that chillable red with some Gabaldon books. I prefer the Ironman movies. Brownie camera?? Who, under the age of 50 would know what that is? And who, over the age of 70 would remember? True. Shows how old the puzzle is or age of creator I imagine. I own a Brownie camera, but then I collect old cameras. And, yes, I'm over 50. Several choices, from pot to fabric. Lulu stated over 850 answers but not how many correct. Wish they would just say how many correct. I think they take first correct answer and never look at others very much. Just look at variety of answers. Need to do research on when selected Blaine joggers submitted answers. Natasha, they have a TIME picked out, and the first correct answer after that time is the winner. (I specifically asked about this, the first time I won, back in 2012, so that's why I know.) It's just like the way online sweepstakes choose winners. I thought the winner was selected at random from all the correct answers received before the deadline. As I pointed out several times recently, the words "random" and "correct" are no longer used or apparently operative anywhere on the Sunday Puzzle. I may be the only one who wonders who the heck makes the decisions there. I think that the show must be Shortz's property and PUBLIC radio buys it with less and less accountability for finances and content. Is there anyway to view today's guest, whoever the hell he is, as other than advvertising (which usually involves money)? I have long wondered about the "random" choosing of a weekly winner. Now, since winning, I am wondering how they send out the "fabulous prizes" as it seems to be different for some of us. I received the Scrabble game the first week, but did not receive the pin until yesterday after two emails. I doubt I will ever get the other stuff. Lego got his pin within a few days and has not yet received the rest of his stuff. Margaret G. waited 6 or 7 months before posting here she had received nothing. So, is the prize distribution random too? I received the lapel pin within a couple of weeks. I got the Scrabble game 2 or 3 weeks ago, and got the books this past week. So... at least I got everything within 9 months, sort of like a baby... I hope you and Lego get all your prizes eventually! --Margaret G.
I thought was random selection. But the process not spelled out. Interested in violinteddy's posted method from the source. Wow..sure is random process for prizes. Now someone please give me a clue about this puzzle! ViolinTeddy: Are you saying they choose some random time (e.g. 10:15 am Tuesday) and the first correct answer after that is the winner? If anyone else here wins I think that's a good question to repeat. This website has a description of three ways online contests work. The first two are fair (apparently there is software that can randomize the entries, so no bag needed). I'm no statistician nor expert in such things, but it's deeply disturbing if they use the third method. I imagine many submit their answers Sunday morning, and the likelihood of them picking that time at random is pretty slim. And to be fair to West Coasters (and Alaskans and Hawaiians) it wouldn't make any sense to answer early Sunday morning EST. Similarly many people might wait to enter until the last minute, and would be similarly disadvantaged. Sdb...you did what...??? I am clueless in Berkeley! Yes, as I recall from 4.5 years ago, that is exactly what they do...select a random time, say 1 p.m. on Tuesday and the first correct answer after that time, wins. Thus, there is little point in RUSHING on Sunday to get one's answer in. It's not going to be the 'first correct answer', unless like suggested above, the slim chance has come along that the selected time/date IS Sunday. I believe both times I won, I sent my answer in on Tuesday. Re the late prize arrivals: the first time, NONE of mine showed up, so I phoned to talk to them, and then they got the pin sent and had the books and game sent (which come from somewhere else.) THe second time, everything showed up in a timely manner, without any coaxing from me. It's extremely strange that so many of you have had such exasperating trouble with this, especially the nine months thing! Wow. I remember many times hearing that Will is about to play on air "with our randomly selected winner." In the postcard days, that was easy to arrange - put all the postcards in a big box, stir, and have a blindfold draw. I have no idea how they did it during the crossover period when they were accepting both postcards and e-mail answers. I had just assumed that nowadays someone got their computer to assign a number, perhaps the order of receipt, to every answer sent in, and then those numbers were picked randomly by their computer. Like many others, I send my answer in as soon as I get it, which usually is Sunday morning, just to get it out of the way. If, however, they have a pool based on the time stamp of the entry, that's not a good strategy, and so the pick isn't random. Heck. I hope one of us gets an opportunity to ask Will this sometime soon. No longer clueless in bezerkeley. Had answer all along but thought too easy to be answer. Trying to count all the possible 8th words is making me tense, and I won't attempt to describe the property, even if you twist my arm. Yeah? Well, these pretzels are making me thirsty!... and don't try twisting my arm because I might think it's a big PRETZEL and start snacking on it. Changed, charred, chartered, chagrined, challenged ... there were so many past tense CHADs hanging around that I got sick of keeping track of them. I don't think the wording of the puzzle requires avoiding the countries already used, but Will may think that goes without saying. He also may think the answer must have at least 7 letters, disqualifying SPrAIN (twisted arm), but I don't think the question is so worded. Will no one rescue me from this muddlesome puzzle? I solved it in a few minutes, but it was tough coming up with an eighth word at first. I hope Will doesn't mind I had two possible answers. I agree cranberry. Finding an eighth word has given my brain a good sprain. Another fun puzzle this week! I think that there are actually two conditions that must be met. Which, if I am correct, would make one of these possible answers the only relevant one. Sort of like Christmas in June. I also found two conditions. I see a second condition met by Benjamin, panorama, chinchilla, and fragrance. But Greenpeace, ombudsman and charmed don't work. Curious. The second condition I see flips "fragrance" over to the Greenpeace/ombudsman/charmed side. Do we have different conditions? At first I had fragrance on the Greenpeace side, but then I saw it met the first condition in more than one way. I have one solution that fits both conditions readily, pretty sure it's the same as Blaine's, but I am sorry to see him going there. I have two obscure words that also work - one of questionable origin, as well as 3 proper nouns. I found 87 words (in the Moby list of common words) with this "very unusual" property. I'll think about it while watching large sea mammals near a big souther island. I thought this was a good puzzle! I agree. BTW, what kind of wax do you use on a '68 Charger? Did you ever drive it in a gymkhana? She runs a ranch in Arizona. I expected to find that to be a line from a song I thought of using as a musical clue, but it's not. You'll have to explain on Thursday. There seems to be something irrational about this puzzle. What ViolinTeddy posted about how NPR chooses the winning entry was very interesting. So was eco's link regarding the three methods by which entries are chosen online. The first two seem random and fair. Anyway, unless the puzzle is really tough, I'll bet NPR receives the majority of their entries by Sunday evening, or by sometime Monday at the latest. The odds are against those early entrants. Like clotheslover and 68charger, I too liked this puzzle. Its format reminded me of one of my favorite puzzles I ran on Puzzleria! -- this Sure Looks Like Sherlock Slice: The 34.9 Percent Solution from 2015. An art our present president claims to have mastered, in 5 syllables. Earlier today after reading eco's post I went and looked to see if I had deleted the automated NPR response to my entry for the recent week I won. I had not deleted it yet and discovered my entry time was 11:02 PM on the Sunday of the puzzle presentation. I usually enter on Sunday, or sometimes wait until Monday, but, while I frequently wait a while before submitting, I do occasionally enter very early. I have heard a couple of winners from long back say they entered shortly before the deadline. As to receiving the swag late, or not at all, for me not receiving the pin until I emailed twice, four days apart, had a spoiling effect on the whole thing, and I find it amazing so many here have also had similar experiences with the "fabulous prize" distribution. I was shocked to hear this morning another a**hole "I just happened to drop by and crash your party" "special guest" usurp the experience of not only the winner, but all of us as well. And I never heard of the jerk. Stop insulting us, NPR! Way back when I wondered if sending in a bigger postcard would give you an advantage, but I never cared enough to experiment. These folks had similar thoughts, and actually did something about it. I still maintain the "random time" method is unfair and offensive. At least this week's "guest" was relatively quiet, which then raises the question of why are they doing this? Cross-linked advertising for money is the only reason I can think of. I like trying new things, but this doesn't do anything for me. Taking away from someone's 5 minutes on the air is callous, especially if that person has fallen so many times in the past, if you know what I mean. This reminds me of the old Martin Gardner puzzle that many of you probably know: a guy has two girlfriends, one in the Bronx and one in Brooklyn. He can't decide which one he likes better so instead when he goes to the subway station he simply gets on whatever train arrives first: either the Lexington Express heading to the Bronx or the 6th Ave. local to Brooklyn. Each train arrives at the station every ten minutes and always on time. After a few months he notices that he is seeing the girl in Brooklyn nine times more often than his flame in the Bronx, even though he always makes a random choice which train to take. Why? Never heard the puzzle, but Bronx train arrives 1 minute after the Brooklyn train. Theoretically, maybe. But according to the MTA subway map, there's no such station. I don't think the "guest" was relatively quiet, he immediately blurted out the answer to the first question. Jan--I knew I would get called on this. I tried to read the tiny indecipherable pixels on my computer and guessed the best I could. Eco is right, of course. When I posed this to my brother-in-law the English professor he came up with increasingly elaborate explanations involving the boyfriend's subjective preferences, unknown even to himself, rooted in his childhood and his unresolved issues with his mother, that made his random choice not so random after all. A better answer from an academic perspective. Wouldn't a tracking device have helped? Maybe, but you need training to use it. eco, are you railing against me? You guys been token on those funny cigarettes? Just what are you reefering to? Nice photo, but don't they make them in designer colors? jan, you should have gone into obstetrics, because you always deliver. I thoroughly enjoyed this puzzle, even though my friend Carmen got there much faster. As to how the “random winner” is chosen. Note that none of the methods listed in ECO’s reference require submittals be reviewed for correctness before a winner is selected. This explains why NPR no longer states the number of correct entries, and why alternate solutions are frequently not mentioned – they may never have been read! Did anyone find an eighth word that has the required property in multiple ways? There is at least one. 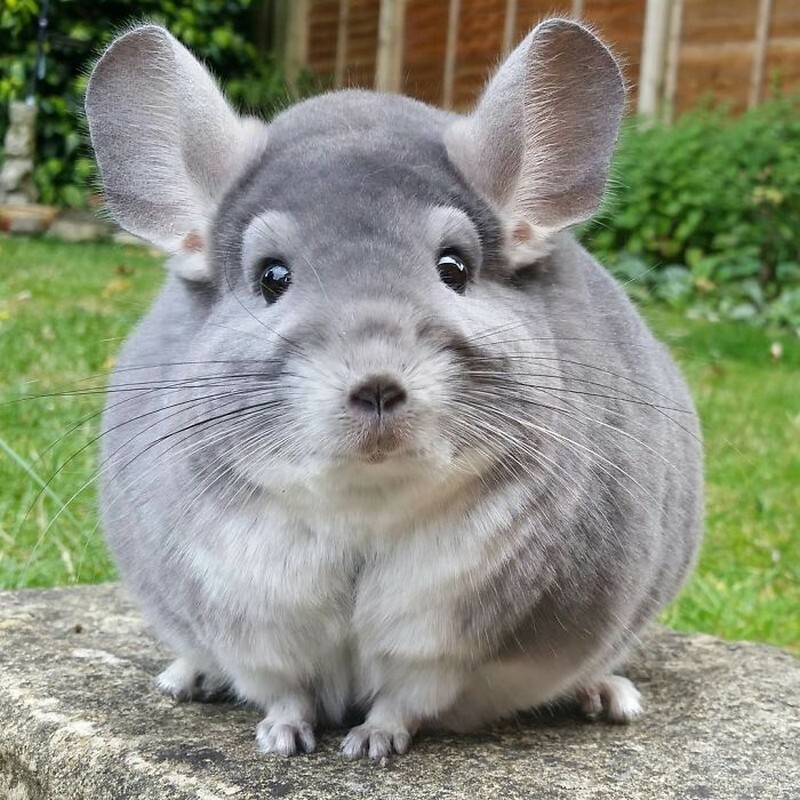 Didn't Mennan Skin Bracer have chinchillas? Yes, but those are Burmaese chinchillas. jan, that made my Monday. Chip 'n' Dale weren't chinchillas, were they? No, but Dale Evans was. Jan, "Thanks, I needed that!" This puzzle may be a record even for Will Shortz in its muddledness. While there may be one thing the subject words have in common, there is only that one thing and it ignores the fact that there are myriad other places and ways they connect. As I implied in my first post, this one where the PM could have saved all of us hours of confusion if he had spent minutes of his enigmatological superiority on vetting it. Nothing has been different all these years and we take it or leave it I think. I went to a Republican town hall meeting today put on by one of our U.S. Senators. It was very interesting to say the least. For one thing, I admired him for even showing up! He sure took the heat for his voting record on healthcare and other hot topics. (No, not that kind of topic!) I behaved myself and was on my best behavior. I saw how, when the going got tough, our senator would try to deftly change the subject to something innocent like "apple pie" or somethong else. Fortunately the crowd would keep him on topic! Is the person who picked Wikipedia's featured picture today a Blainesvillager? Those of you who haven't seen this week's Puzzleria! should be glad there's only one or two things you normally have to do with the Sunday Puzzle. No offense to Legolambda, but there's quite a bit to have to do on his blog this week, and I'm busy planning a trip to Florida later this week. So I've got plenty on my mind as it is. I just thank God I solved the Sunday Puzzle as quickly as I could. I like to think of Puzzleria! as a smorgasbord, a buffet table where one chooses an hors d'oeuvre or two or more, and then chews on it or them. No pressure. It's "all you care to eat." I do appreciate your competitive spirit, however, cranberry. You do tend to sample all the puzzles on our weekly menus and, more often than not, gobble them all up! Nothing wrong with that. But neither is it wrong to approach P! as a leisurely walk in the woods rather than a sprint to the finish. After some thought I finally came up with an answer that works, including an eighth word. But the answer seems so trivial and rudimentary that I’m left with the lingering thought that that couldn’t _really_ be the intended answer, could it? For years and years craven slackers have lurked in the dark of their computer caves waiting for some careless NPR Puzzle solver to make obvious the correct ANSWER before the deadline. This announcement could have appeared on Richard Renner's blog, blainesville or the lamented crosswordman/Magdalen blog. Upon the appearance of the correct ANSWER minutes or hours early, one or more of that unscrupulous group could have sent it to Will Shortz at NPR, usurping honest submissions and gaining access to air time on Sunday and the coveted bounty of PRIZES. Now it seems that the path to fame and fortune need not entail the submission of a correct ANSWER at all and that there is no longer the claim or expectation that the person of the week can expect randomness in his or her selection. Also worrying is the possibility that the selection may be wrapped up well before all the submissions are received or even sent. It is not my rule to change, but it may be time to discuss the bugaboo that is Thursday noon to three. Nothing was said to indicate someone would be chosen who had submitted an incorrect answer. In fact, frequently Will Shortz states that he also accepted or didn't accept alternative answers. I trust that WS is not accepting incorrect answers, but I wish I knew the method for selecting the winner. It seems easier in the old postcard days, they put all the entries into a bag, pull one out, and if it has the correct answer then they're done. I'm still curious how they do it in the digital age, they can do the equivalent by assigning #'s to each entry received, and then have a computer pick a number at random. That doesn't solve the question of how many correct entries were received, though that's an academic question for puzzle geeks. Still seems easy to do, they could do a word search of the received entries, and see how many times the correct answer appears. I would be very disturbed if they select the winner by a time stamp, that seems very unfair. I too am very concerned how they choose winners, as I am now determined to win three more times and beat Lego's record. In respect for tradition (you remember tradition, don't you, eco?) I suggest NPR have interns transcribe each and every entry, as it comes in, onto a blank postcard and then place them (each postcard, Harriet) into a duffle bag. Then, at noon on Thursdays, they could reach in and accept the first correct answer. Also, in an endeavor to prevent Russians from meddling, they might be able to hire James Comey to supervise and insure an honest outcome. Soon, I hope, they could also hire Jeff Sessions as a final arbitrator. Unfortunately Jefferson Beauregard is not available, he was last heard saying "Mah word, Miss Kamala, your questions have done gone given me the vapors!" You do know, at least I hope, that the vapors are a Southern euphemism for farts caused by the Belle's being trussed tightly into their garments and after eating, well you, and jan, too I would surmise, know the result. A stench worse than a Jeff Sessions hearing. It also means being overcome by emotion. But I will agree DT and Sessions have been hoisted by their own petards. Thanks for the tip, eco. I just got off the phone with my stock broker and am now heavily invested in petards. SDB: You answered my question and did not think it needed to be there forever. Also, most of the time my comments get printed twice and I have to delete one. Natasha, I was not referring to you deleting your duplicate posts. Well, if clarity of our posts were the criterion for which we strive, then Harriet would be the gold standard. Is it too early for me to ask if UNSTEADY qualifies as an additional word? What is Janet Yellen at? Other words with this property include: Chippendale/CHILE, Iroquoian/IRAN, Latinos/LAOS, and Lazarettos/LAOS. If we allow words with place name roots, we also have: Australia/AUSTRIA, Indiana/INDIA, Iranian/IRAN, Irishman/IRAN, and Irishwoman/IRAN. My comment regarding my friend Carmen was a reference to Where in The World is Carmen Sandiego. Each of the words contains the name of a country when certain letters are removed. The countries are: Benin, Greece, Oman, Panama, Chad, China and France. An additional word with this property is: Perturbed which becomes: Peru. Also: Irrational becomes: Iran. “Donations matter.” Or perhaps I could have posted it this way: Do nations matter? So it is with great embarrassment that I say the common property of the seven words is that they all contain the chemical element symbols of at least three different elements. The eighth word I selected is “chestnut” which also has that property. Given that manu chemical elements have only 1 letter (and the others have 2) I'm guessing there are a LOT of answers. A good puzzle might be to list very short words that can be made with chemical elements, e.g. C+H+Ar. Or longer words (or famous people or places) that are made only of chemical elements, e.g. Sc+H+O+La+S+Ti+C. My hint: a certain cup of tea = Chamomile tea. Just to be fussy, Guam is not a country, it's a US territory. Puerto Rican Nationalists support your logic. (Benin, Greece, Oman, Panama, Chad, China, and France). > Chip 'n' Dale weren't chinchillas, were they? No, but Chippendale has the property. > What kind of wax do you use on a '68 Charger? > Did you ever drive it in a gymkhana? > I think she left out chancroid and syringomyelia. Two more words with the property. > Is the person who picked Wikipedia's featured picture today a Blainesvillager? > I found 87 words (in the Moby list of common words) with this "very unusual" property. I wrote, "I found it hard to state a hint that would not simply land someone on the answer, but there is a musical clue that involves jokers or clowns." The hints were "state" and "land" which are synonyms of "nation;" and "Clowns to the left of me, jokers to the right" from the song "Stuck in the Middle with You," since the nations have letters stuck in the middle of them. Stuck in the middle with E.U. nephridial, the adj. form of nephridium, seems missing on the lists above. You must have missed NEPOTAL. See above. I had the same condition, removal of some letters in the middle yields a country name. ecoarchitect: I also toyed with the idea that the unused middle letters also created a word(s), but it seemed unclear if it is part of the "unusual property" of each word. Each word contains the name of a world country, formed by using the first and last letters of each word. "She runs a ranCH IN Arizona. "/CHINA Similarly hidden in plain sight! "Don't know much about geography"
I feel pretty stupid, not seeing CHINA in there, although that's a different kind of wordplay. I was sure you'd found a lost lyric to Where in the World is Carmen Sandiego?! Funny! For all we know, Carmen Sandiego may have run a ranch in Arizona. She was an international woman of mystery after all! And yes, I was going incognito with my clue! Lulu: Will, remind us and all that. Will: Yes, I gave a weird sentence and said the words in it had something very unusual common and asked for that something and for 88 other words that shared it. We got a whole bunch of answers to the first part, but nobody could come up with all the other words. So we don't have a winner this week and we'll just kill time plugging our special celebrity guest. Each word consists of names of foreign countries with a few extra letters in between. My eighth and ninth examples are CHAMOMILE or CHIPOTLE/CHILE. Now it's off to Florida! See y'all later! For those of you that know, when does the weekly winner receive the call to play on air? Shortly after the submission cut off. Yes, i.e., around 3:15 p.m. ET on Thursday, usually. Don't ignore a call from an unknown number in the 202 area then. That was the hint buried in "would make one of these possible answers the only relevant one," with "relevant" hinting at "germane." And the statement "Sort of like Christmas in June" was meant to refer to Noel -- "no el." I think Wee Willy might like this one: it has an anagram. HenryW: Are you the Henry BW of Magdalen's circle? I see ecoarchitect found a slew of words that meet this second condition--so germanely may be legit, but it isn't unique by any means. Which suggests that maybe Will has an even more devious answer; how else could he ask us to find an "eighth word"? I hadn't thought of the anagram aspect, and as you note there are several leftovers that anagram into new words. WS didn't say there was only one answer, he only asked us to find one that fit the criteria. It's not unusual for there to be several correct answers. I'm just bummed that I didn't think of Brunelleschi, having climbed his Florentine dome, or Machiavelli, having thought we need him to revise his famous work as "The Executive". I had the same answer, in that the letters removed from the middle to make the country name could be rearranged into words, except that from panorama to Panama, the leftover word is "or," and my eighth word was "Latinos," which has the leftover word "tin." Can someone tell me the country with the "offensive word? I thought it was a reference to Chipotle. I don't think chimichanga works: in all of the sample words, the letters that get deleted to form the name of a country are consecutive. I agree, the letters deleted need to be consecutive and found InTernALlY to the word, otherwise there are probably a lot of answers. I was earlier hinting at Australasia,(mentioned only by Jan.), which produces two countries, Australia and Austria. And don't forget good ol' indicia. Not to mention a citicen of any of the, "Stans." AFGANISTaniAN, KAZAKHSTaniAN, KURDISTaniAN, KYRGYSTaniAN, PAKISTaniAN, TAJIKISTaniAN, TURKMENISAaniAN, and UZBECKISTaniAN. Next week's challenge: This is a spin-off of the on-air puzzle. Think of a familiar two-word phrase starting with T and ending with S, in which the interior letters name part of the human body. Remove the first and last letters of that word, and what remains will name another part of the human body. What's the phrase, and what are the body parts? I'm having trouble finding any a clue that won't give the answer away. The on-air player today played before as the winner of a creative challenge (and was a runner up in two others). I like to support them. :) --Margaret G.
If body parts require a whole person to support them, someone is well-endowed. That was easy. Now back to bed. The hard part will be thinking of a good hint. I think Margaret G. has already won the prize for best hint. I predict this puzzle will break the record for correct entries. Absolutely. By design this puzzle was pretty easy. Like jan and SDB, I am more amused by trying to find a suitable clue than by solving this puzzle.